It’s a reality, so no more hanky banky about the number of seats and whose “Jalsa” was bigger. 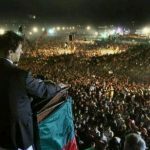 Imran’s troops have really rattled the stage, and to put it right after a long lull there is something worth writing or talking. Imran Khan has matured well with time, as politics in Pakistan is a tight rope to walk on. To be honest, it was a surprise to every eye, not because of the numbers but more because of the electrified masses even after the show has ended. Khan has been chrismatic and inspiring, the two attributes which are essential for any would be leader, and I will stop short of honesty and intent, as politics is a dirty trade and we have plenty of examples of successes with the omission of the last two attributes. So what really brought the crowds to the streets? And what can we derieve out of this bonanza remains a tough ask. Masses for sure are furstrated as well as deprived. Not years but decades of follies have made them loose their confidence in themselves, as well as the prevailing system. 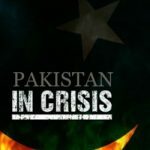 The doctorine of necessity, whether it be the ratification of undemocratic and illegitimate acts from boys in uniform to the political bargains on behalf of millions to prolong their reign by politicians has contributed the most to this hypothesis, shared by 200 million Pakistanis. Confusion and chaos are the catalyst to every change, and this is the same line Khan sahab has towed. Logically, the bells for election will be rung in 2013, but with our track record every thing can be possible in the battle field of politics. Khan heroics lately have been calcuated as the ouster of Sharif’s and PML-N from Punjab in the 1st phase, while the rest will come his way later in the episode. 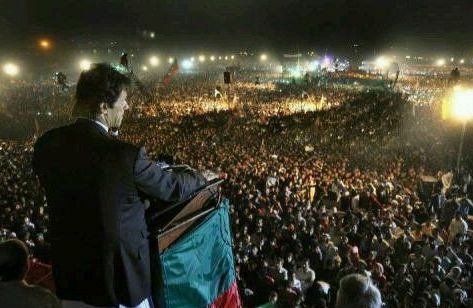 His “Jalsa” has been seen as the wake up call for team Nawaz, and rightly so. But in haste certain very important facts have been ignored by “Team Imran”, who did dance to the tunes some night back but this dance can very well become the one with partnership of the wolve. Reading between the lines is not only useful, but in case of prevailing condition it is highly essential. 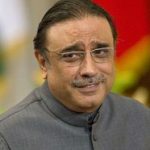 Whether you like him or not and no matter how many polls place him at the last scale of popularity, Mr Zardari holds all the aces for a triumph to his PPP as well as himself reelected as President for the 2nd time. The way he has maneuvered himself in the last 3 years has established him as the biggest political mind in Pakistan. 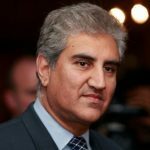 His strength lies in Sindh, while his politics in Punjab, KPK and Baluchistan has placed him on the slot of “King Maker”. 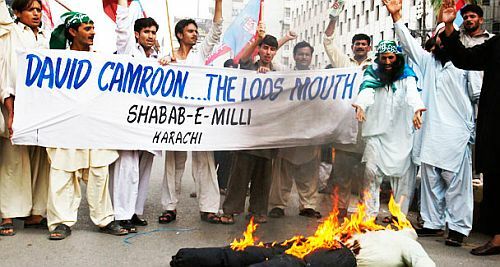 MQM remains the only threat to PPP in Sindh, and with them routed from local govt and Nazim crown, they will hardly score an upset. To be precise, the blood shed in Karachi throughout this setup has placed ANP and MQM on back foot, with the PPP walking tall (Let the Supreme Court verdict be an exception). In this scenario, team Zardari will retain Sindh no matter how much deprived the natives have become due to bad governance, curruption and ill planning. In KPK, ANP will have a tough time against the Islamist parties (MMA or no MMA) and the mendate can be split, but neither PML-N nor PPP will gain tremendous success from this province. Khan has seen his following grow in KPK, but that cannot be translated into success. He himself can dominate the stage in KPK, but when it comes to party politics he is far away from gaining the ground in KPK. In any case, PPP will be the biggest benificiary from a split vote in KPK. Baluchistan, like before seems to be going no where, with the hidden hand as well as the tribal might playing the largets part. Again Imran wil have some success in Baluchistan, but this will be negligible. Religious parties and PML-N can extract some seats aswell, but all in all it will be the current faces which will dominate Baluchistan, or let it be PPP in the end as they have the power of attracting the winners (One can argue their methods for this subject). Punjab remains the top prize, and undoubtedly it will be. Traditionally PML-N’s, even last time they were short of calling it their exclusive domain. With Imran’s entry, don’t consider N routed. They will secure a good share, but not the deciding one. The governance, if seen in comparision with the rest of 3 provinces and the center has been exceptional. Imran sahab and his platoon was very vocal on Dengue, and same was heard from PM Gillani a few weeks back. But putting it straight, Shahbaz after the initial follies played an exemplary role in the fight against it. Not from news but our own eyes he was seen standing on city squares, or late night in hospitals providing relief to the masses. The experts from Sri Lanka and their work in coordination with Punjab govt was superb. Having said this, it was a massive crisis and had it happened God forbid in any other province with present governance trend, the result would have been many times worse. The federal govt never came to the aid, nor did the crisis management groups or NGO’s. The surprise is natural, most Pakistanis never heard of it as well so its naïve to taunt PML-N Punjab to have stood up against it straight away. The rehab and relief in 2010 floods from Shahbaz was far better than in Sindh or KPK, and even the anti PML-N Southern Punjab masses admit this. But team Zardari and his allies in the shape of Q will deprieve N of this prize. With Q in center as allies, seats will go their way as well. Khan has set the stage on fire, but Punjab will have a split result. His heroics in polls will firmly establish PPP in the driving seat with another coalation setup, and Mr Zardari as President for the 2nd term. What if we have early polls? In a democratic manner, this theory is next to impossible. Team Zardari has got its cards right for holding its allies, whether it be the release of accused from billions of fraud money under their cap or lucrative Ministeries like railway. The opposition only has street power left to it. Friendly opposition is what we have heard so much for N, but to be straight they had no power to turn the tables. The only way they could hinder the sins was Judiciary, but by hook and crook and some time indemnity justicehas been delayed and denied in the most convincing manner. N has the resolve and reasons to go all out against the setup, and hints are coming from all square that they are going for their final push. The two other players remain Imran’s PTI and Munawar’s JI. Combined, they can stun the setup and bring the govt to its knees, but again it requires a lot of bitter realities to be removed. Imran’s PTI is novice as well as shaky. 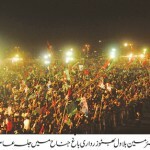 To say it clearly, election in 2013 will suit him that any one else along with PPP. This 1 ½ year or so will make him organize his party, float the tickets, make more hue and cry and all will be set to welcome PTI as a political force. On the other hand, every passing day will plant a nail in PML-N coffin, as they have virtually placed themselves head on with the rest of political entities. Army, Arab and America is seen as the key makers of any setup in Pakistan. If all goes by their side, the alliance will be practical, though the interest do clash a lot. PTI is acquiring a share of N’s domain, and one cant see them happy with this. But if the two parties join hand to topple the current setup, this merger might well be under way. Hints have come from both quarters, but AAA will play a major part in this plan. So for now on, hold tight to your seats and wait for the “Eid of Sacrifice”, because the dices will be rolled immediately after it. Imran will never have allaince with PML n.He doesnt seem to be like other traditional politicians in Pakistan. There are no hidden meanings to his talk.he very much means what he says.and he repeatidly says teh same things.That might be his weak point but it is also his strength because it gives the hard earned credibility which both nawaz and zardari are unfortunatly lacking.